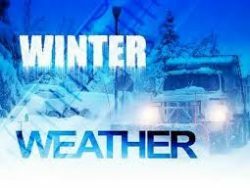 If Weather, or any other situation dictates that it is prudent to cancel Faith Formation Classes, we will make that decision as early in the day as possible. Then, we will send an emergency message, via email, to all Faith Formation Families for which we have email addresses on file, and post the Cancellation as an Alert News Item here on our Parish Website. We will also notify each of the local on-air media outlets (T.V. & Radio) of our decision to cancel classes. NOTICE: We will AUTOMATICALLY Cancel Classes on any Wednesday on which the Temperature (WITH Wind-Chill) that day is forecast to be -10(F) or Colder.